How to write blog headlines that drive search traffic? Content Marketing is a important digital marketing strategy, designed to attract and drive traffic to your Website. A good headline that catches their attention and entices them to click through to read the rest solves their problem – and creates coveted lead generation opportunities for you. Make headline a key component of your content marketing strategy. Follow these simple steps and you’ll appeal to coustumer as well as search engines. 1. Use keywords : Including keywords in your headlines is important, as major search engines such as Google, Yahoo! and Bing will place more emphasis on the versus the content itself. 2. Appeal to emotions : According to blogger, 8 out of 10 people will read headline copy, but only 2 out of 10 will read the rest. You have one chance to get your reader to click; using power words will help. The Headline Analyzer tool from CoSchedule recommends using a balance of common, uncommon, emotional and power words to captivate your audience. Phrases like “what happens when” and “you need to” compel readers to discover the benefit of the article. 3. Be clear – and avoid clickbait : You’re working so hard to build trust with your audience – through everything you do. Don’t ruin it with a misleading headline just to get people to read a piece of content. 4. Know your audience : The best headlines are ones your audience will find value in because they’re focused on their wants and needs. 5. Think in numbers : A list is often more compelling, because readers then have a clearer idea of what to expect. 6. Use words that Enchant: In addition to strong keywords, using positive adjectives can also increase engagement. Try using words like “free,” “easy,” and “new” which generate more audience engagement. 7. Keep it short and sweet : Lastly, keeping the headline short enables your target audience to read the headline quickly, improving its chances of getting noticed before others. Search Engine Optimization is the practice to obtain high rankings on Search Engine Result Pages (SERPs) to gain visitors for your webpage or website. SEO makes the site accessible for search engines and ensures that it improves its chances to be viewed more. Keyword Research is a practice of searching keywords your target audience actually uses to find products/services like yours on search engines like Google, Yahoo etc. For instance, if somebody is looking to SEO Company in Lucknow for Promote Website, he would open Google and type “Top SEO Company Lucknow”. He wouldn’t simply type something vague like “Company”. However, more than 50% of marketers make the mistake of avoiding the niche context while picking their keywords. Choosing the perfect keywords is vital as your entire SEO strategies and activities depends on it. Blogs is an informational page or a site. Blogs are updated regularly by individuals or small groups who are interested in a particular domain or a topic. The objective of blogs is to share and educate like minded people about a particular subject. Like a SEO blog will have articles frequently written about SEO Services, Technology, On Page SEO, Off Page SEO etc. Basically you need to focus on your target audience and create unique categories according to your business. The process of obtaining hyperlinks from other websites to your webpages is Link Building. 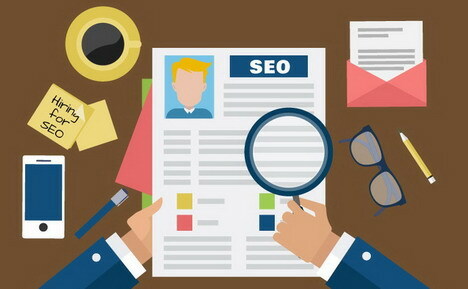 It is the most challenging SEO skill, but it is also the most important and fruitful. Search Engines like Google, Yahoo use links to crawl the web. Search Engine bots end up crawling the links between individual pages on your website, and they will crawl the links throughout websites. The scenario of Link Building is constantly changing, and currently the significance of building high quality links is extremely high. If done correctly, link building can put you way ahead of your competition. Content is king. Creating and sharing content (text and media) to attract and retain customers is called Content Marketing. Article directories are platforms that has a collection of various articles on different subjects submitted by users. This is basically used for content syndication. Choosing the right platforms to submit various articles is an essential part of article submissions. Right directories are constantly crawled by search engine bots as they are considered as authority sites. This helps you rank better on Search Engines. Social Bookmarking is used to store, share, manage, search and organize web pages as bookmarks. It’s a SEO practice as these bookmarked links can be viewed publicly and is used as a publicity tool by SEO experts. Again, identifying the right platform is important as search engines have their own reputation for these websites. If you get crawled on the wrong platform, search engines might decrease your rank drastically. We recognize these platforms and smartly bookmark the webpages, so that it gets maximum exposure from search engines. Search Engine Result Page is the response that a search engine provides to a user based on the search terminologies or the keywords. The main factor of SERPs is the listing that these Search Engines produce after an inquiry has been made on a particular search engine. There are 2 types of listings that are displayed on Google, ‘Organic Results’ and ‘Paid Results’.